Sir Mike Richards, the Government’s former cancer tsar, who is leading a review of cancer screening services in England, said Britain has some of the oldest cancer screening stock in the developed world. Health service managers were raiding budgets intended for new MRI and CT machines to help keep other parts of the NHS afloat, he said. The news comes as data from NHS England shows almost one in four cancer patients do not start treatment on time – the worst performance on record. Data from NHS England shows more than 220,000 people have been waiting more than six months, 31 per cent up on last year. And 36,857 have been waiting more than nine months, a 39 per cent rise. Speaking at the Health Service Journal’s cancer forum in London earlier this month, Professor Richards said: “What has happened in the past is that capital budgets have been raided so when a scanner ought to be replaced they are not and [the unspent capital] is propping up the revenue side. His comments have been backed by leading cancer specialist Professor Karol Sikora, former adviser to the World Health Organisation on cancer care. He said: “Lives are being lost due to delays in referral and also to delays in screening and poor quality images from machines that should have been replaced long ago. In a previous interview Prof Sir Mike Richards said the number of missed opportunities to save lives was the equivalent of a “jumbo jet of people falling from the sky every two weeks”. 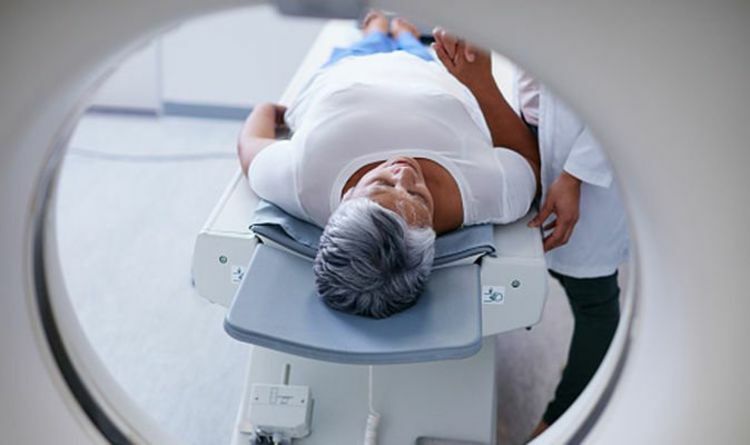 A recent report that found the UK ranks 35th out of 37 for the number of CT scanners per person, and 31st out of 36 for MRI scanners. Last autumn NHS England announced it would overhaul cancer screening as part of the long-term plan and has called on Prof Richards to carry out the review of England’s three national cancer screening programmes – breast, bowel and cervical. His report is expected to be published next summer. Avengers: Endgame Doesn't Need Another Trailer, Marvel VP and Fans Seem To Agree Captain Marvel Easter eggs: Did you spot THESE Easter Eggs in Captain Marvel?